The Compact Machinable Expanding Micro™ Clamp is available with extra material on the clamping jaw so it can be machined to conform to the shape of your workpiece - enabling you to fixture unusual applications easily. The specically designed steel wedge spreads the clamping force uniformly on both sides of the aluminum channel. 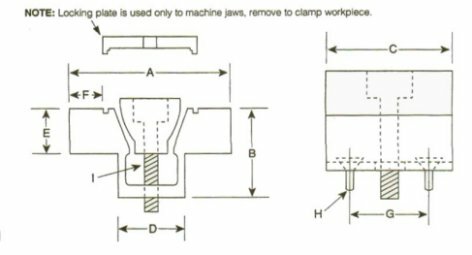 A unique locking plate is provided to make the clamp rigid while machining the jaw to you specifications, without vibration. Available in two sizes.